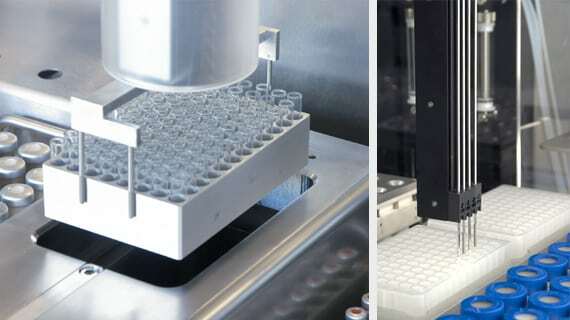 An innovative solution for automated peptide synthesis that provides automated, parallel synthesis of peptide & oligosaccharide libraries, work up and analysis. 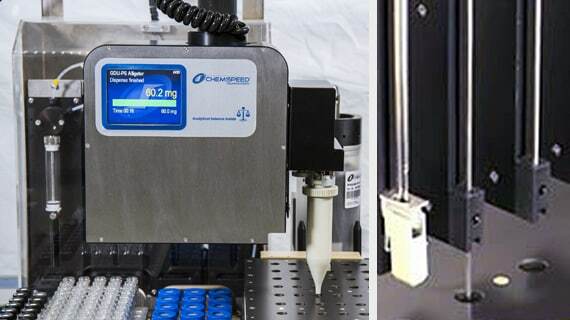 The leading technology in overhead gravimetric dispensing / dosing (patented) combined with our disposable reactors, and our user-friendly software, allow you to standardize and accelerate your peptide and oligosaccharide workflows. 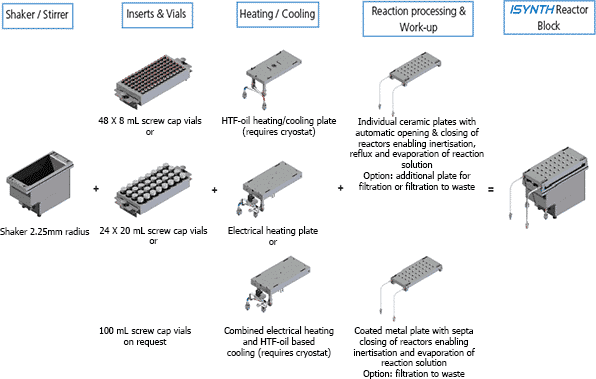 Easy-to-use disposable glass vials / reactors. 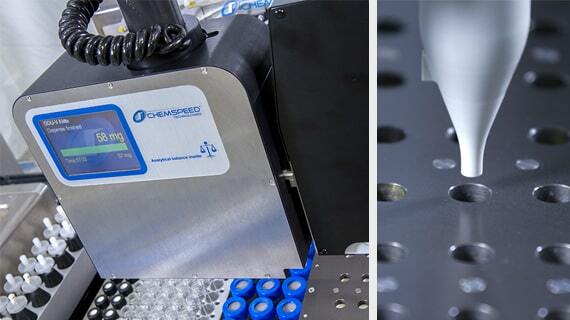 Chemspeed’s ISYNTH PSW deck modularity allows the user to execute and perform a variety of peptide and oligosaccharide synthesis workflows in a fully automated fashion. 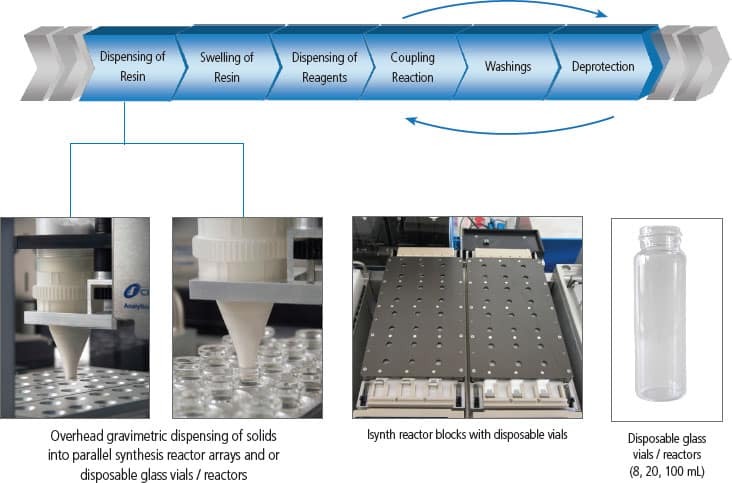 In solution and on solid phase synthesis. In sophisticated disposable reactor formats. Under ambient & elevated pressure up to 100bar. Under inert gas or reactive gas conditions. 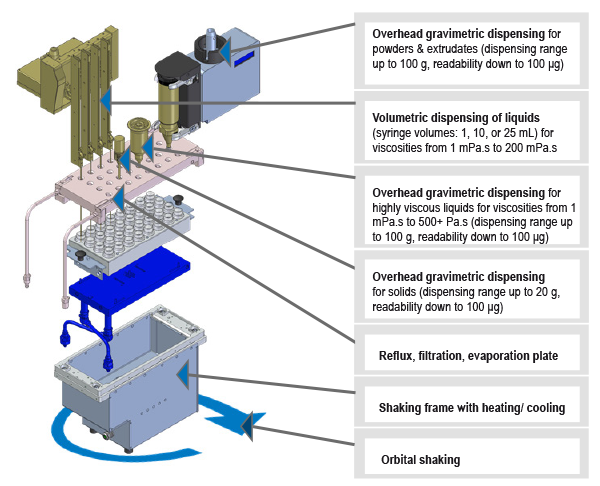 Including many work-up funtions such as vacuum, filtration, evaporation, liquid / liquid extraction, crystallization. Synthesis of branched and multistep protocols for library synthesis.